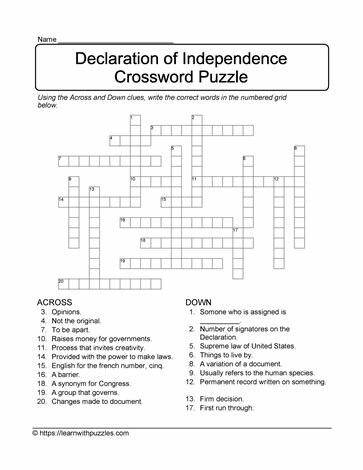 Use clues to solve this Declaration of Independence printable crossword puzzle. Suitable for students in grade 7,8,9 classrooms, and as a review or summary for homeschooled students. Challenge family, friends and classmates to see who can be the first to complete the printable puzzle.